The proof continues along the lines of Solution 1. Leo Giugiuc has kindly posted the above problem at the CutTheKnotMath facebook page, along with a solution. 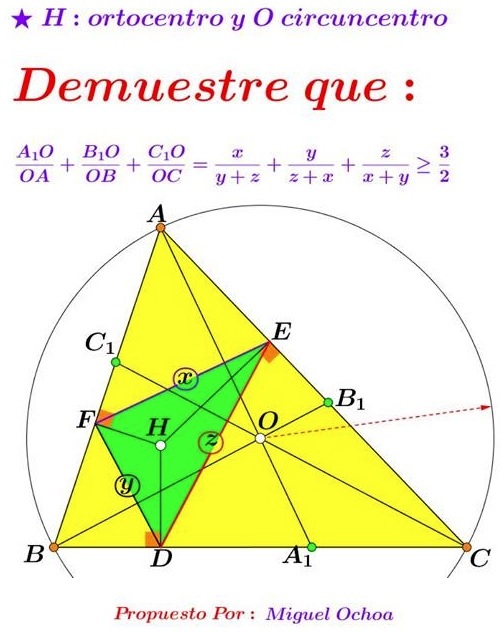 The problem has been shared by Miguel Ochoa Sanchez at the Peru Geometrico facebook group. Solution 2 is by Marian Dinca.